Kings Place's Time Unwrapped is a year-long exploration of the many meanings of time in music. On Saturday 6 January 2018, to launch the festival, where better place to begin than the beginning, so Adam Fischer directed the Choir and Orchestra of the Age of Enlightenment (OAE) in Haydn's The Creation with soloists Charlotte Beament, James Way and Dingle Yandell (all three OAE Rising Stars). Haydn's inspiration for The Creation came partly from hearing the Handel Festival at Westminster Abbey in 1791 when massed forces sang Messiah and Israel in Egypt and for the public premiere of The Creation in Vienna in 1799, 180 performers were used. Whilst he undoubtedly wanted a large sound in the work, much of the writing reflects his experience at Esterhazy and the piece works well with smaller forces. At Kings Place the platform space is limited, and even with just a choir of 16 and an orchestra based on 14 strings, the performers overflowed onto the balcony with choir, trumpets, brass and timpani placed above. In terms of sound, this worked remarkably well. Conductor Adam Fischer clearly relished the opportunities which this re-focussing of performers gave him and from the opening notes of the prelude, the instrumental playing was full of contrast and texture, with wonderful details springing out. The depiction of chaos in the prelude was spine-tinglingly intense, but throughout the oratorio Fischer and the orchestra brought out numerous felicities. It was a performance of contrasts, the quiet moments were magical and the loud ones very loud. Whilst the forces were far smaller than Haydn might have anticipated, the effect of the full choir and orchestra in Hall One of Kings Place was thrilling in its concentrated intensity. Of course, fine detail does not make for a great performance and what Fischer also brought out in his singers and players was a sense of joy. Whilst remaining in constant control, it was clear that Fischer also sat back and relaxed, radiating a sense of enjoyment which was infectious. I have rarely found a performance of The Creation so entrancing and so joyous in its relishing of the quirky details of Haydn's score. Soprano Charlotte Beament started off rather correct and serious, singing with lovely strong, straight tone in 'The marv'llous works beholds amaz'd', whilst 'With verdure clad', though beautifully phrased, was somewhat careful. But 'On mighty pens uplifted' was more relaxed, though still admirably trenchant. Baritone Dingle Yandell was similarly careful, singing with a wonderfully resonant bass voice which did full justice to Haydn's writing, starting off with finely considered words for 'In the beginning' and making 'Rolling in foaming billows' nicely musical if a bit too correct. The bass soloist gets a lot of the marvellous descriptive detail, particularly in Part Two, and whilst Yandell phrased it finely he did not relish the words enough and it was left to the orchestra to capture our imagination with their felicitous comments. Both Beament and Yandell relaxed as we reached the final part when they joined together for the lovely concluding duet for Adam and Eve. Here, the two achieved a beautifully controlled blend but also gave us a sense of enjoyment and lyrical joy. Tenor James Way sang with a remarkably strong virile tone, but used a nice flexibility too. His opening recitative was vivid and this continued into 'Now vanish before the holy beams', and on the Fourth Day Way's 'Let there be lights' recitative was similarly word based, the colour and details of his performance reflected in the atmospheric orchestral contributions. His final aria, 'In native worth' was full of virile phrasing and relish for the words. All three soloists joined together with admirable balance and contrast for the trios which conclude the Fifth and Sixth Days and for the final scene. Here, the chorus also made an important contribution, and throughout they sang with a combination of controlled discipline and engagement. Fischer's speeds were often quite brisk in the choruses, and the singer made them seem vivid, full of crisp detail and often with an admirable bounce to the rhythms. 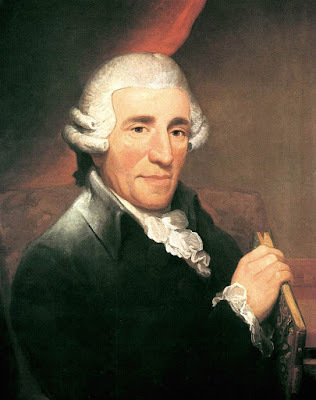 The orchestral musicians all relished all the opportunities that Haydn gave them, ranging from the atmospheric orchestral moments to numerous felicitous instrumental solo moments in the arias. This was one of those performances which, thanks to Adam Fischer's masterly direction, was full of remarkable details which built to a remarkable whole. A truly joyous way to celebrate the beginning of Time Unwrapped.